The endocrine system is an efficient means of controlling, via hormones, large numbers of cells at many different sites in the body and it is the most important factor in the control of the basic processes of the individual, such as metabolism, growth and reproduction. 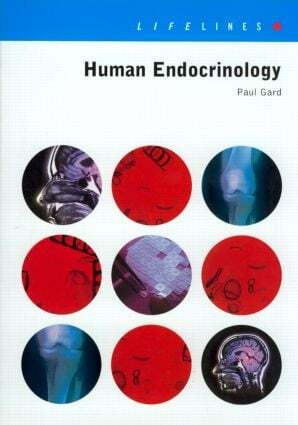 _ Human Endocrinology is a concise lucid explanation of how hormones are secreted by various glands into the blood and dispersed to cells within the body. Each hormone group is described in a separate chapter dealing with the factors affecting the hormones secretion and the use of particular hormones in the treatment of disease. _ Disorders of the endocrine system, such as diabetes and some forms of dwarfism and the use of hormones in medicine (such as oral contraceptives) are covered. The illegal use of hormonal drugs, for example anabolic steroids, in sport is also discussed. _ The author's accessible style and extensive use of figures and tables make this a valuable text for all students studying the subject as part of many bioscience courses including medicine, nursing, physiology, pharmacy pharmacology and biomedical science. Evolution of the endocrine system and mechanisms of hormone action; control of the endocrine system and the anterior pituitary gland; the posterior pituitary gland; the thyroid gland; the parathyroid gland and calcium homeostasis; the hormonal control of the gastrointestinal tract; the endocrine pancreas and the hormonal control of carbohydrate metabolism; the adrenal medulla; the adrenal cortex; the testes and the male reproductive system; the ovaries and the female reproductive system; the hormonal control of growth and development; answers to revision questions.